Following the leak of the Crash Override Network chat logs and Trello cards, a number of websites who previously promoted the anti-abuse and anti-harassment network have gone silent. 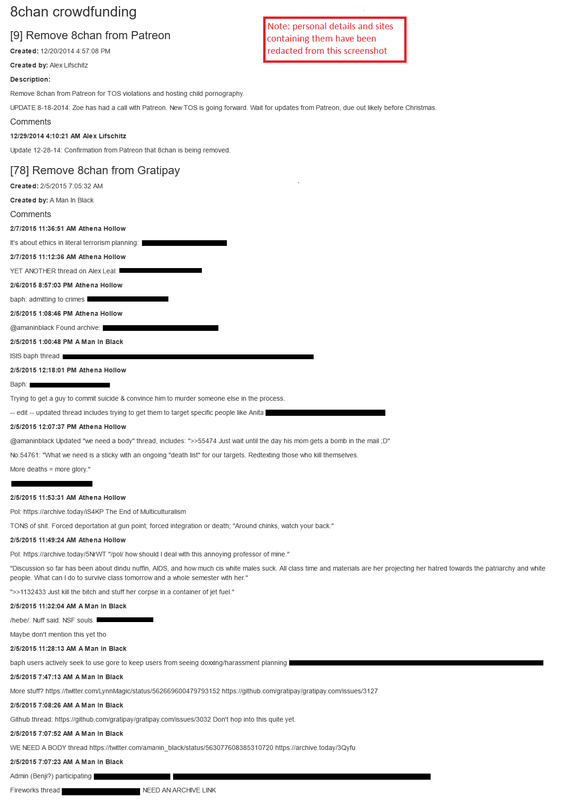 Based on the leaked chat logs and Trello cards, Crash Override Network partook in harassment, sabotage and doxing, things that they supposedly were organized to fight against. Two of those websites promoting Crash Override Network (oftentimes referred to as CON) who are now conspicuously silent are Business Insider and Develop. “[…] victims of such abuse have banded together to create a new task force called Crash Override to combat online harassment. Crash Override is led by game developer Zoe Quinn and video game producer Alex Lifschitz and is staffed by folks who have been harassed. Crash Override Network was discovered to have partaken in multiple instances of doxing, one involving someone they detested from an imageboard and in another occasion outing a group of people part of a Facebook group in hopes of getting them blacklisted, which has been reported on both the Washington Examiner and Heat Street. An image of the Trello card featuring the dox of one of Crash Override Network’s adversaries can be viewed below. The leaks were verified by former member, Ian Miles Cheong. Bort was contacted about any possible updates to the story regarding Crash Override Network or the leaks that have occurred that show various members partaking in doxing, harassment and admitting to corporate sabotage, but she has not responded to any queries regarding the matter. “Crash Override plans to help people protect their private information as well as offer guidance and legal advice. The resource centre already contains documentation on ways to prevent doxing, in which a person’s private details are disclosed online without consent. According to the documents, they did fight harassment with harassment. In fact, the leaked Trello cards showed how they organized to harass Frederick Brennan, the former administrator of 8chan, to ensure that he would never receive proper funding to sustain himself. There was also an instance of going after a Purple Heart Veteran due to his political views, as reported by Heat Street. None of these topics have been touched by the media who have reported on Crash Override Network in the past. The issues have been avoided and journalists have either attempted to block those attempting to query them on Twitter or ignore any messages or comments regarding the matter. In the case of Develop, I did reach out to them personally to see if they would further update their story regarding Crash Override Network but there has been no response. The community following the leaks have also attempted to reach out these organizations but, again, there has been no response.